Two things in high demand during the Tucson summer: Water to Splash, and Shade from the Sun! 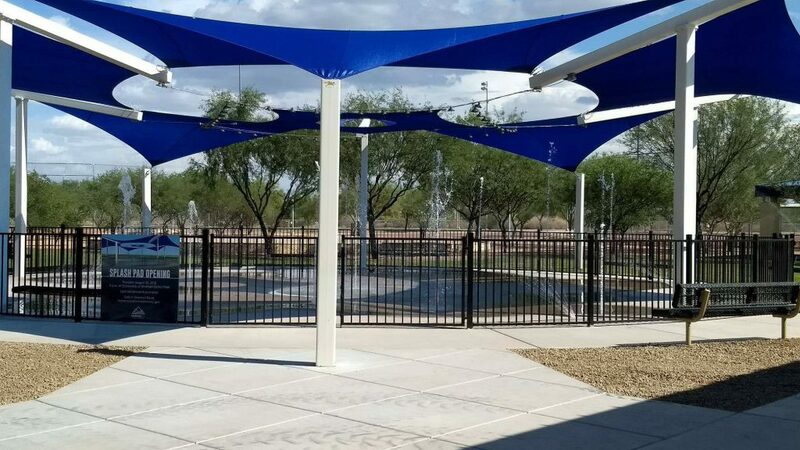 Kappcon was the proud Design Builder of a new Splash Pad that we hope families will enjoy for many year to come. This is what the project looked like hours before the Grand Opening…ready for all those kiddos!